Not many hitters in baseball can claim to be as hot as Brock Lundquist has been for the past couple days. 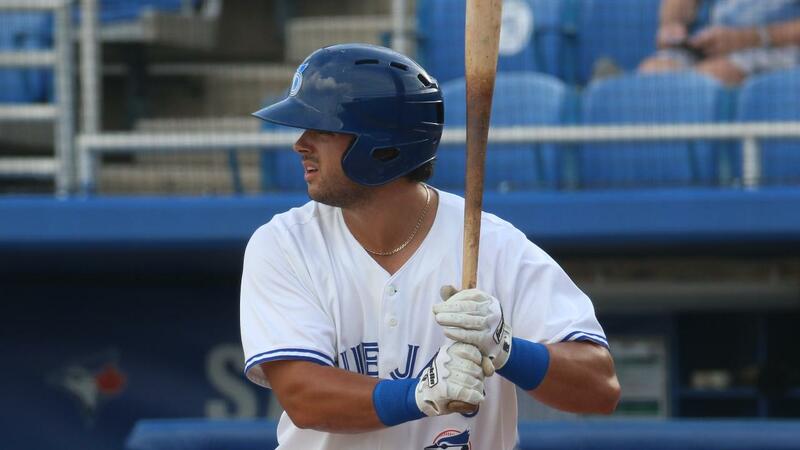 The Toronto outfield prospect went 4-for-4 on Monday -- giving him hits in seven consecutive at-bats -- as Class A Advanced Dunedin fell to Daytona, 7-3, at Jackie Robinson Ballpark. He also scored a run. After a 4-for-6 afternoon against Charlotte on Sunday and homering in a 2-for-4 showing Saturday, Lundquist has gone 10-for-14 (.714) since starting off August with a couple hitless games. "There are times where you feel completely on with your timing," the 22-year-old outfielder said. "You're just recognizing pitches really well. You're swinging at pitches you can hit. I think that plays a big role in why I've been hitting pretty well lately." On Monday, Lundquist led off the second inning by lining a single to right field against Tortugas right-hander Tejay Antone. The left-handed hitter pulled another liner into the outfield against Antone in the fourth, and No. 6 Blue Jays prospect Kevin Smith scored from first base when the hit was misplayed by Daytona right fielder Michael Beltre. "I've just been swinging it pretty good lately," said Lundquist. "I've been doing what I can to get on base. We just came off an eight-game winning streak. A lot of it is, guys get on base and set up some momentum for the team getting a rally going and we get more runs. I'm going up to the plate and finding ways to get on. I got a couple of good pitches to hit today and was able to hit it where they weren't and find a gap to get on base." The 2017 sixth-rounder got the best of Antone again in the sixth, plopping a 2-1 pitch into center for a base hit. He moved to third on a walk by Chad Spanberger and a single by Riley Adams single before scoring on Kacy Clemens' groundout. In a left-on-left matchup against Kevin Canelon in the eighth, Lundquist lined his 2-2 offering up the middle for a fourth hit. The late, close-game situations have empowered Lundquist at the dish. "Yesterday, we had 21 hits as a team," he said. "Once the guy in front of me gets on and has a big hit, it gets some adrenaline going and you want to get on base too." Promoted from Class A Lansing on July 3, the Long Beach State product's average hasn't dipped below .304 since he got to the Florida State League, and he's logged three games with at least three hits. Monday's perfect night boosted his average on the circuit to .383, and over 98 total games this year, he's batting .286/.382/.487 with 17 homers and 15 doubles. "I was very excited to get called up," Lundquist said. "The big adjustment was the weather. I've prepared better with hydration and finding a new routine. I think that's helped out a lot." No. 11 Reds prospect Stuart Fairchild went 3-for-4 with two RBIs and Ibandel Isabel homered, doubled, drove in two and scored twice for the Tortugas. Antone (3-2) allowed three runs -- two earned -- on eight hits and a walk while striking out six over seven frames to pick up the win.